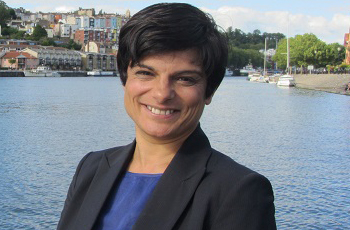 Thangam Debbonaire has served as Labour MP for Bristol West since 2015. Recently in the June 2017 General Election, Thangam received 47,213 votes, which equaled a 65.9% majority, retaining her seat. She currently serves as Opposition Whip in the House of Commons. Thangam has worked as the National Research and Training Manager for the charity Respect. She has spent most of her working life helping to end domestic violence and promoting gender equality at local, national and international levels with voluntary, public and private organisations. She has lived in the heart of the constituency for over 20 years, and is a governor at a local state primary school, a trustee of the University of Bristol student union and active in the local traffic action group. She was a professional cellist and continues to perform as a 'happy amateur'. Thangam is currently undergoing treatment for cancer and continues to have a strong presence in her community.